The album, which features production from MeLo-X, Hit-Boy, and Steve Lacy, is due out February 3. After announcing that she had finished recording her debut solo album in December, Syd has released a video for the lead single from Fin. 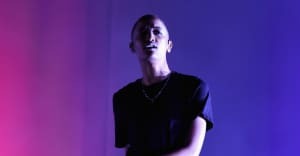 Syd premiered "All About Me," which is produced by The Internet's Steve Lacy, on Zane Lowe's Beats 1 radio show on Wednesday morning. Fin will feature production from MeLo-X, Hit-Boy, Haze, and Rahki. The album will be released on February 3 via Columbia Records. Watch the Calmatic-directed video for "All About Me" above and see the full tracklist for Fin below. Read The Internet's cover story from The FADER's America issue.